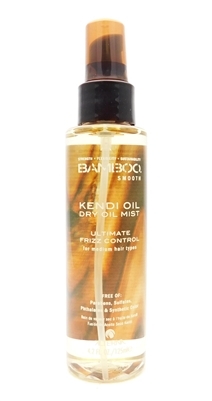 Alterna Bamboo Smooth Kendi Oil Dry Oil Mist 4.2 Fl Oz. Alterna Bamboo Style Cleanse Extend Translucent Dry Shampoo Bamboo Leaf 4.75 Oz. Alterna Bamboo Style BOHO Waves Tousled Texture Mist 4.2 Fl Oz. Alterna Caviar Repair Split Ends Mend 1 Oz Alterna Bamboo Smooth Anti-Frizz AM Daytime Smoothing Blowout Balm 5 Fl oz. Alterna HEMP Natural Strength Shine Conditioner 67.6 Fl Oz. Alterna BAMBOO Volume 48-Hour Sustainable Volume Spray 4.2 Fl Oz. Alterna Haircare Bamboo Volume Kit: Abundant Volume Shampoo 1.35 Fl Oz., Abundant Volume Conditioner 1.35 Fl Oz., 48-Hour Sustainable Volume Spray 4.2 Fl Oz., Uplifting Hair Spray 2.2 Oz. Alterna 2 Minute Root Touch-Up Temporary Root Concealer Black 1 Fl Oz.